The City of London will not be given any special treatment during the UK’s Brexit negotiations and the government is prepared to let financial services businesses leave, a number of senior figures in the City have reportedly been told. Chancellor of the Exchequer Philip Hammond and Brexit Secretary David Davis met a group of 10 financial services heads at a special meeting held in the Shard in London last night and told them the government is keen to avoid any favouritism of the financial sector in its Brexit negotiations. According to a report in The Daily Telegraph those that attended were warned that despite accounting for 11.8pc of gross domestic product (GDP), financial and professional services is only one industry and cannot be seen to be treated differently. “There was quite a blunt warning that politically the government does not want to be seen to do a deal to favour rich bankers if it doesn’t comply with Brexit voters’ wishes – that there is more to the negotiation that just the City,” an unnamed “industry leader” told The Telegraph. The leaks will be seen as affirmation of many financial services firm’s fears that the government does not see retaining all of the City’s business, instead prioritising controls on immigration and global trade deals. As a result threats to relocate business to ensure that EU passporting rights are retained by many firms. The meeting, held at the Warwick Business School in The Shard, was attended by senior staff from Barclays, Santander, and Goldman Sachs. They were told that the government realises some business will leave the City, potentially leading to a large number of financial services job losses, as a result of their stance. It was also reportedly said that there was also an acknowledgement that “a modest amount” of business and jobs will move to financial centres like Frankfurt, Paris and Dublin as a result, according to the Daily Telegraph report. As a result it likely to mean the UK will not keep precisely to EU finance rules, indicating banks and other firms will not keep the passports which allow them to trade freely across the continent. 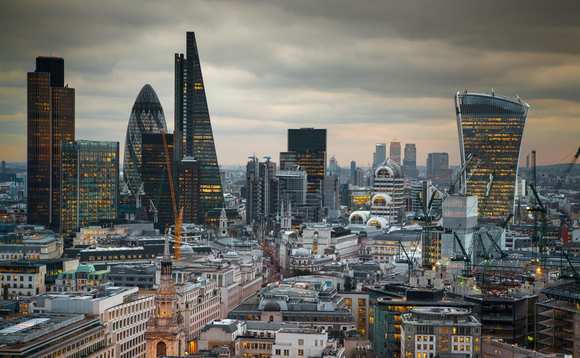 News of the government’s stance on the City’s interests in Brexit negotiations comes as a PwC and City of London Corporation report showed that the total annual tax contribution of the financial services sector has hit a record high of £71.4bn. Fifty financial services firms based in the City paid the huge sum between them, a 7.4% rise on the 2015 figures.